To the uninitiated, the term ‘Repo 105’ evokes the name of a basic finance course or perhaps an expensive perfume. However, the broader implication of Lehman’s corrupt accounting strategy is neither simple nor does it pass the smell test. A repurchase agreement or “repo” is a two-part arrangement. The seller (cash borrower) agrees to sell securities at a slight discount to a buyer (cash lender). Under that same agreement, that original seller agrees to buy them back at a future date at a higher price. The securities are known as “collateral.” The discount is known as the margin or a “haircut.” The ratio between the increase in price and the original price is known as the rate. With ‘Repo 105,’ Lehman, according to volume III of the examiner’s report, acting as a seller (cash borrower), treated $50 billion in repo transactions as sales instead of financing transactions. Lehman did not reveal to investors that it was doing so. In contrast, standard practice was to record these transactions on balance sheet by increasing both cash (assets on the left side) and collateralized financing (liabilities on the right side). Thus a properly recorded repo transaction results in both a larger balance sheet and also higher leverage ratios. Not wanting to issue more equity to boost leverage ratios, Lehman instead chose a cosmetic solution. With ‘Repo 105,” near the end of a reporting period, Lehman treated the transactions as sales and used the cash proceeds to pay down other liabilities. This made the firm appear to have a smaller balance sheet and less leverage than it truly had. The transactions were called ‘Repo 105’ and ‘Repo 108’ in reference to the size of the haircut. In other words, for ‘Repo 105’ transactions, Lehman would provide collateral purportedly worth 105% of the amount of cash it received. As we blame the bad apples at Lehman, we fail to see how recent legal changes brought about bigger problems in the repo markets and how instead of reversing these missteps, the law may instead amplify it. Indeed, as discussed below, language in the Dodd draft released Monday, March 15th suggests we have not learned some basic lessons. Lehman’s ‘Repo 105’ was blessed under UK law by a perhaps questionable legal opinion from the Linklaters law firm. However, the transformation of the broader repo market, from one backed by largely US Treasury and agency collateral to one backed by securitized bonds, was enabled by US law. As detailed below, changes to the Bankruptcy Code, through BAPCPA in 2005, expanded this vital financing market and made it far more unstable. Repos have been called the “oil in the industry of Wall Street” largely because, prior to the global financial crisis, investment banks financed up to 50% of their assets in the repo markets. One bank analyst notes that “repo markets are only one channel linking the “shadow banking” sector to the broader economy.” Given its size and importance, the repo market is surprisingly obscure. At its peak in 2007, the repo market in the US was estimated to be between $7 trillion to $10 trillion. Outstanding US repos today are estimated to be in the $3.8 trillion to $4.27 trillion range. Buyers (cash lenders) in the repo market are typically institutional investors like pension funds and mutual funds who need a liquid but relatively safe place to invest cash for the short term, often overnight. Buyers also include broker-dealers and banks that need securities to cover short positions. Sellers (cash borrowers) in the repo market are often broker-dealers and banks who use these arrangements to finance asset purchases and to leverage. With a matched-book repo, a dealer will act as buyer, bringing in collateral, then will with the same collateral act as a seller with a different counterparty, profiting on the spread. To be clear, though, the run did not appear to be on the whole repo market, but rather on repo agreements backed by non-government collateral–in particular, repo backed by securitized bonds. In other words, repo backed by Treasuries did not experience a run. Cash-rich buyers sought out opportunities to loan against US Treasuries. Perhaps the buyers did not trust the valuation of the securitized debt, including mortgage backed securities. Thus, it follows that haircuts got larger for non-government collateral – the amount of collateral posted for a loan escalated. And ultimately, some collateral simply could not be used at all. The average haircut on structured debt, according to Gorton and Metrick went from zero in early 2007, to 10% by March of 2008. In September 2008, the rate shot up from 25% to 45%. Questions have arisen as to the wisdom in allowing a vast range off collateral to back repos. Some argue that the market needs more than Treasuries and agencies because of the demand for Treasury and agency bonds as collateral for derivatives trades. This, of course invites the question of whether a side-benefit to shrinking the derivatives market would be to make Treasuries more available for repo. For example, approximately 80% of the approximately $28 trillion credit default swap market (once closer to $57 trillion) is said to be contracts where the insured party did not own the underlying reference credit. Shrinking the derivatives market might decrease the demand for Treasuries, thus decreasing the reliance on riskier, less secure repo financing that is prone to dry up when asset values decline. What enabled the tremendous expansion of outstanding repos were amendments to the US Bankruptcy Code in 2005 through BAPCPA. Prior to these amendments, it was clear that if a debtor filed for bankruptcy, a lender who had Treasury collateral, agency, certificates of deposit and certain bankers acceptances could hold onto that collateral. Unlike most parties with contracts with a debtor that have not been completed, the repo lender would not be subject to the automatic stay. However, prior to the amendments (notwithstanding another possible provision to rely upon in the Code), it was not clear what would happen to the repo lender who had other types of collateral, in particular mortgage-related securities. BAPCPA made certain to protect these creditors who took in a new list of collateral types, including mortgage loans and interests in mortgage-related securities. It also was expanded to include foreign sovereign debt. These new types would also be free from the automatic stay. In addition interest paid on the repo would not be clawed back as a preference. This was affirmed in a subsequent court decision in early 2008 in the wake of the subprime crisis. Outstanding repos grew from $4.9 trillion in 2004 to $5.6 trillion in 2005 and ultimately to $7 trillion by first quarter 2009. Little has been done to address the maturity mismatch associated with the use of short-term (overnight) repo funding by banks to finance longer term assets. Moreover, the recently announced SEC rules affecting mutual funds will only send more cash into repurchase agreements. This will likely increase now that the SEC is requiring taxable money market funds to hold 10% of total assets in instruments which the fund has the right to receive cash with one day’s notice and 30% that give the fund the right to receive cash in five business days. Finally, language in the Senate financial reform bill, the “Restoring Financial Stability Act of 2010,” (see page 203, beginning on line 12) introduced on March 15 by Senator Dodd, appears to expand even further the rights of repo buyers (lenders) if a financial company is under an FDIC receivership. In the words of President Bush, “Wall Street got drunk.” The bartenders pouring the drinks were repo market buyers (lenders). We should impose some liability on these bartenders for the leverage and liquidity problems to which they contributed. However, instead, it appears we are going in the opposite direction. This entry was posted in Guest Post and tagged financial regulation, Lehman, repo. Bookmark the permalink. Who is the greater fool? Answer is the voting public. It is pretty obvious that the pols in DC don’t work for the folks that elected them. Wall Street not Main Street runs the show. Republicans say — there is no problem things are just dandy. Democrats say — how can hide this eye sore and proceed to shove it under the rug. isnt the soundness of the banking system part of the feds’ remit? shouldnt they have been policing this expansion of credit within the system? IF Repo contracts are insured like demand deposits, the borrowers must be governed by FDIC-like regulation — and charged a fair price for that insurance. However, in this case the depositors are not average citizens. They are putatively sophisticated institutions that ought not to need such protection. Thank you James! I have been looking for a single presentation that covers the entire financial system run. The Yale International Center for Finance Working Paper really is on target. Incidentally, you could see the REPO mania building on investment bank balance sheets ( and others) in 2006 and 2007. You had to read the annual reports.Repo’s are by nature multiple hypothecation and one should take warning from that alone. In an offhanded way, the REPO mania is amply illustrated by the combined Federal Reserve Bank balance sheets. Use August 31, 2008 as a starting point and track forward. The result is ” effectively” a FRB repo of asset backed securities. A repo 105 variant of it’s own. The FRB statements footnote the non bank amount of reserve deposit liability. Compare the bank’s line 25 in H-8 cash and equivalents to the net reserve deposits of banks for the same period and you can see what really happened using the H-8 report. Of course, this was after the financial system run was underway. The effect on the bank balance sheet was to reclassify “toxic” assets to cash and equivalents. Cash they could only ” effectively” withdraw as currency. In today’s world the currency would be anachronistic. Was not Lehman doing the same thing on a less effective basis with their Repo 105 ” program”? At the time, my banker friends were all very, very frightened people. Panic stricken is an understatement. Hi Jerry, thank you for the comments; James posted my blog piece — I was a guest writer. Thank you for the reference to the Fed balance sheets. This is a terrific post by Miss Taub and I hope James can get her on “Baselinescenario” again. I was thinking that a lot of this problem with Repo 105 and Repo 108 was mainly a result of the accounting standard SFAS 140 change in 2001, but it seems Miss Taub is saying that it had more to do with the Bankruptcy Code changes in 2005. Which was the bigger contributor??? Or were they both working together to mess things up??? Also it seems the last sentence in the 12th paragraph maybe wrong, I’m not sure, did Miss Taub mean to say “decrease the demand for Treasuries”? ?–because the sentence seems counterintuitive in some way. For the general reader I think this post by Tom Selling could be very instructional. Also, I haven’t had the chance to read it yet, but this article might be interesting to Miss Taub. It’s from over at VOX. The maturity mismatch issue is something I hadn’t really considered yet. Overall, I agree with Ted K, an excellent article. Since TARP was initiated, has anyone been indicted or convicted of crimes against the Federal Reserve? I’m not sure if it would be worded a “crime against the Federal Reserve” but this news item came out yesterday. Ironically it was at a community bank. You may get a pop-up ad, just close it after the jump. So, was the repo market de facto allowing the falsely rated AAA tranches of CDO’s to be used as collateral when the crunch came? What’s incredible, is the guys who created this stuff knew the true values of the underlying securities was at best shaky. Why would they collateralize in the short-term market when the con would ultimately blow up? Moral of story, steal big and arbitrage the spread. The Dodd bill appears to change very little, particularly with regard to OTC swaps and private derivative contracts, which guess what, do not appear on the balance sheet as the naked leverage it is. I’m trying my best not to be long-winded here, but it’s interesting to note that Hoenig said he thought rates should be raised today. I have quite a bit of respect for Hoenig, and I can’t help but wonder if we’re creating a lot of imbalances here. How healthy is it to keep rates so low for so long??? Wouldn’t at least 1/8 of a point be a wise move here?? Frankly, I feel very very strongly it would show some intelligence to raise rates slightly now. I have long been suspicious of brand-name academe and big-name ‘dissent’. To me, they often appear to be fabricated or controlled dissent, less interested in uncovering the fundamental truths of the matter which cause events, and more on debating their effects, and often with specious arguments. They often analyze causality quite dubiously. And what was the repealing of the Glass-Steagall Act? Can learned financial managers and lauded economists for once try to look beyond the leaves and penetrate through to the core agendas of the forest – of which they are themselves, or have been at a time before, a core part of? There is no way in hell that I, as a plebeian, can know more about this than these experts. And yet – why do I appear to know more? Or am I just foolish enough to not be co-opted? I hope that this sentiment will be true. But the two essays I have now read on this website leave me with no comfort that this is indeed a Socrates’ corner. Friends, we of course obviously need sophisticated specialists to inform us mere plebeians – who are perpetually suffering the brunt of the ubermensch’s imperative to lead us by the nose to our own voluntary servitude – of the crimes against humanity of perpetual debt enslavement and how it was done to us. But what I am certain we don’t need is more disinformation and “limited hangout” for the same purpose, by variously focussing on the lower-order bits of the matter in the most erudite fashion, and through clever omissions and disingenuousness of emphasis for “cognitive infiltration” which ultimately only introduces “beneficial cognitive diversity” – Harvard’s Cass Sunstein-ese for crafting red herrings to defocus dissent. I for one have had enough eruditeness – don’t care for such learned gibberish. Where is the straight talk from the “experts”? Or is that a nonsequitur of modernity? Call a spade a spade – it ain’t all that complicated – take the red pill, or minimally, stop peddling the blue one before the mostly stoned masses! the poor Americans too will predictably, and very soon, be marching on that same road of revolt. Wait – isn’t that all about those infernal “Islamofascists” because of which the poor Americans are losing all their famously inalienable Constitutional Rights? “This practice, enabled by a 2005 legal change, directly destabilized the financial sector and led to the ultimate credit crisis of 2008.”? “Little has been done to address the maturity mismatch associated with the use of short-term (overnight) repo funding by banks to finance longer term assets.”? Lastly, as an epilogue to the above rant, I just saw a brief blurb on Simon Johnson’s new book and I hope that it addresses the fundamental problems ab initio, and also outlines the real solutions and names the real culprits who have grafted by way of the mighty sovereign – by enacting the laws which suited them for their purpose! I look forward to reading it. Tuesday March 16, 2010, 5:07 PM PST. That assumes raising interest rates is an appropriate (or even effective) policy tool for popping asset price bubbles or managing inflation expectations. I would contest this assumption and argue instead that fiscal policy and stricter enforcement of existing regulatory laws are the more appealing options. Finally, it is not even clear to me at least that a higher federal funds rate will necessarily put downward pressure on inflation expectations. The standard textbook view is that higher interest rates discourage borrowing at the margins by increasing the cost of taking out a loan. Less borrowing means less money floating around in the form of credit extensions and hence lower inflation rates. However, there is also the possibility that increased interest rates will produce more income for individuals living off the interest earned on their investments. Recently I’ve been looking into research about which effect is dominant, and I still haven’t found anything terribly convincing either way. So in conclusion, I am not convinced that either lowering or raising the federal funds rate even a fairly significant amount will have much of an effect on the economy at large. At the very least you’re going to have to show banks are significantly increasing the amount of loans they are originating before I start to worry about the negative consequences of maintaining the zero interest rate policy. Personally, I’m doubtful such evidence will be forthcoming. The effectiveness of traditional monetary policy has been oversold. I’m no expert, but I gotta say, it doesn’t feel like inflation should be the worry just yet. This is a truly outstanding and informative post. Thanks, Prof. Taub. Oops, my apologies Ms. Taub. Here is a fun sidebar to what has been going on. Thirty years ago, Michael Thomas’s first book was Green Monday. Green Monday was when roll overs stopped and it all came down. My first love is publishing and I spent my first twenty five years in it. Thomas was involved with Bobby Lehman as a young man. In the sixties I was involved in buying up portions of the failed mass market magazines. Companies like Crowell Collier. Anyway, I was considered the corporate encyclopedia about mass market magazines and their financial failures. 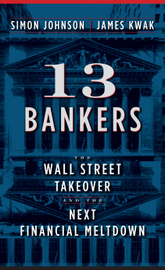 What has happened in the past two years is not all that different than the financial collapse Michael Thomas used as a plot in his first book. Borrowing short to lend longer is a recurring drama in finance. It seems every generation must learn the lesson anew. This time the illusion was that quants had figured out a way to eliminate risk. Thus, rollovers would never cease in the aggregate because general risk fright could not occur. I totally agree with that assessment it is a very good and illuminating post. That said though liquidity is indeed important, let us not forget that lack of liquidity can indeed amplify the losses but the real detonator of the crisis were the real losses and nothing but the real losses… and foremost among these those lousy subprime mortgages that managed to slip through dressed up in AAA securities. Even repos 100.05 will always come home alright if the paper keeps its 100 value! Not having read the entire post, I can still answer this. I haven’t a clue what the post is about. I’ve got some game, but I’m not trained to understand what a repo 105 transaction is. I’d never heard of a repo 105 transaction until yesterday. All this will change, but it’ll take some time and I have no hope whatsoever of actually being able to keep up. Make no mistake, it really takes daily immersion and only daily immersion to gain real expertise to make an informed judgement as events transpire. So what we ordinary nonprofessionals are left making horribly uninformed choices, and prey to simplistic and misleading messaging. And we get the representatives we deserve. The auditing firms certainly should have caught this. Auditing firms ultimately work for investors, or that’s the theory. It ought not to be too far a stretch to get investors, and not firms subject to audits, to pay for this. Of course investors want good returns more than anyone, and the big investors are as inside as inside can get. Great explanation. You guys are doing us a great service. Thanks. However, the more I learn about this crap the more depressed and cynical I become. This issue is the leading reason for my losing all faith in Obama. My right-wing friends seem to have been correct. He is all style, all brand. No substance, and certainly no balls. It’s very disappointing. Time to look into emigrating to Canada. I’m a hockey player anyway. I wonder how many of the people who have replied to this piece on Repo 105 actually work in the repo markets? The reason I ask that rhetorical question is because while Jennifer Taub’s piece mentions a number of useful, well-known research pieces on the crisis, her guest piece completely misses the point on repo. Who cares about the US bankruptcy code when the repos are off a London-based balance sheet using a UK law agreement. You would have to be a complete fool to repo foreign government bonds off a US balance sheet, not least because of the capital charges (SEC regulations). What Lehman did with these Repo 105 transactions was incredibly stupid, especially towards the end and any former employee party to this nonense will find himself or herself in court, but if Jennifer Taub’s objective with this guest piece was to educate people, she has unfortunately merely muddied the waters further. Unless, of course, her objective was to provide another platform for people to abuse policy makers in the United States – many of whom deserve it, but let us get the facts right. The facts are that the Repo 105 transactions were sanctioned by the FSA in the UK, and you should direct your attention there. The repo market allowed wild credit creation against all sorts of assets and it must be curtailed in my opinion. Pension funds repo’ing out their equity holdings (which still leaves them as the registered owners of course) whilst reinvesting the cash into funky products to beat their S&P / FTSE benchmark – how ridiculous is that?! The two key ingredients in every financial crisis over the past few centuries have always been leverage and maturity mismatch. This point has been recognized since at least the time of Irving Fisher, and informally, probably much earlier than that. Yet, after skimming through the Dodd bill yesterday, I see nothing to address the fundamental, structural issues. All the emphasis is on creating a consumer protection agency (with little detail on what it would actually do), limiting proprietary trading (however defined), creating resolution authorities, requiring certain derivatives to be traded through a clearinghouse, etc. Now, those are not bad ideas, and they do address problems that should be addressed. However, they do nothing at all to address the fundamentla structural issue, and so they will not prevent a repeat of what happened in 2008. Fed funds will remain near zero for a long time, but the only likely result will be a stock market bubble. Lending these days is limited to the hedge fund sector, since demand for money follows opportunity. Meanwhile, in the real economy, we continue to be plagued by excess capacity, shrinking demand, job loss, wage stagnation. While the Fed can enrich the financial sector, it cannot create investment opportunity. History suggests we may need a war to eliminate overcapacity. In that context, the invasion of Iraq was helpful, because it destroyed infrastructure of the #2 Middle East oil producer, whence we got escalation in oil prices from $20 to $80 per barrel. Ultimately, that was not enough. It appears that only a courageous government spending money like water on energy and infrastructure might get things moving again. Every time I hear this idiot we elected talking about shrinking the deficit I wonder if he is the reincarnation of Herbert Hoover? Perhaps true, but would either Clinton or McCain been better? I think not – quite the opposite in fact. Leverage and maturity mismatch is indeed what usually makes bad credit decisions resulting from some type of overconfidence turn into a crisis. Usually overconfidence is a product of the market but what really separates this crisis from all other was that we had a regulatory induced overconfidence. Imagine allowing the banks to leverage 62.5 times to 1 just because there were some AAA opinions involved? But this makes your quite correct comment about that “they do nothing at all to address the fundamental structural issue” just so much worse. Of course, in the case of the subprime mortgages the misleading of consumers was founded on the misleading of the investors. No AAA ratings? No money! Wizard of Oz(s) playing 3 Card Monte anyone? Step right up….just keep your eye on the magic card with the chip/bean/coin/security/derivative…..under it….everyone’s a winner…..
Lewis, promoting his latest book “The Big Short: Inside the Doomsday Machine” about the crisis, predicted a war will be waged in Washington as Senate Banking Committee Chairman Christopher Dodd tries to revamp U.S. financial rules. I agree, he was the best choice, but he also sold himself as something different. Clinton was also a disappointment, and McCain would have been bad. I was hoping for more this time. No, I think the point here was that the stupid actions Lehman took were hidden from investors, along with everything else that occurs on Wall St. The dire need of meaningful reform and transparency is reinforced by this story. The need for consumer protection, while separate from the details of the post, are also reinforced. There is a larger point here for most of us – pass Elizabeth Warren’s plan, Volckers rules, break up these banks, and regulate OTC derivatives. These details you point out are for the civil, and hopefully, criminal courts to deal with. Why is this country turning into a giant casino, in which financial behemoths compete to see who can be more outrageous? The more I hear about derivatives, repos and all of the gaming venues, including the right of all of the TBTF’s to borrow infinitely from the FED to invest and reap their giant bonuses at a tremendous cost to this country’s fiscal securing, the more I become a cynic and believe that unbridled plutocratic capitalism is corrosive not only to our pocketbooks, but to our very humanity. I have begun to believe that folks like Hitler and the Marquis de Sade were actually nice guys compared to Congress, Wall Street, and the health system game club. This is the most frightened I have ever been of what price we may have to pay as a planetary society. We can’t even govern this country, what makes us think we can make the world a better place (Greece, et al?). Don´t despair, this has nothing to do with a Hitler… at least not yet. This has all to do with not being able to recognize what really happened. What stands in your way (and I do not mean you personally) of understanding this crisis is first that so many want to exploit it to carry forward their particular favorite political agenda and second, that so many are mostly trying to hide their part in it and most specially avoiding having to explain why they did not speak out in time. The solution is to take all the traders on Wall St. and send off to Guantanamo. The market is perfectly capable of working without these self centered, egotistical, greedy people putting the whole economy at risk. Let banks go back to good old brick and mortar loans and collections. How sad it is to conclude that our republic is indeed lost to a financial cartel. From mortgage fraud, to insurance fraud and accounting fraud, there isn’t an honest dollar around anymore. The only question left is how much abuse will the American People stand? Although the Examiner’s Report expressly declined to take a position on the issue, it seems quite unlikely that Lehman’s repo 105 program in fact met the standards required by FAS 140 for off-balance sheet treatment. In particular, LBIE (Lehman’s UK entity) apparently repo’d two different “buckets” of securities in the UK: (i) securities that were already owned LBIE, and (ii) securities transferred to LBIE from U.S. Lehman entities. With respect to the second category, the means of transfer was a repo between the U.S. Lehman entity and LBIE. That repo between the U.S. Lehman entity and LBIE, however, would not be characterized as a true sale for U.S. bankruptcy law purposes; indeed, the very impetus for the repo 105 structure was Lehman’s inability to obtain a true sale opinion from a U.S. law firm for repos transacted by U.S. Lehman entities. And there lies the problem: the transfer of securities from U.S. Lehman entities to LBIE, and the characterization of such transfer for U.S. bankruptcy law purposes, were not addressed in the Linklaters UK legal opinion upon which Lehman depended for FAS 140 purposes (and one might conjecture that Lehman probably never informed Linklaters of the specific providence of the securities). Instead, the Linklaters UK legal opinion simply included an express assumption that there were no provisions of foreign law that would have any effect on the opinion. Accordingly, it is hard to imagine that Linklaters would still have been able to provide its UK legal opinion if there had been an explicit statement of the fact that certain of the securities that were repo’d in the UK by LBIE were first acquired by LBIE from U.S. Lehman entities in repo transactions that did not constitute true sales for U.S. bankruptcy law purposes.